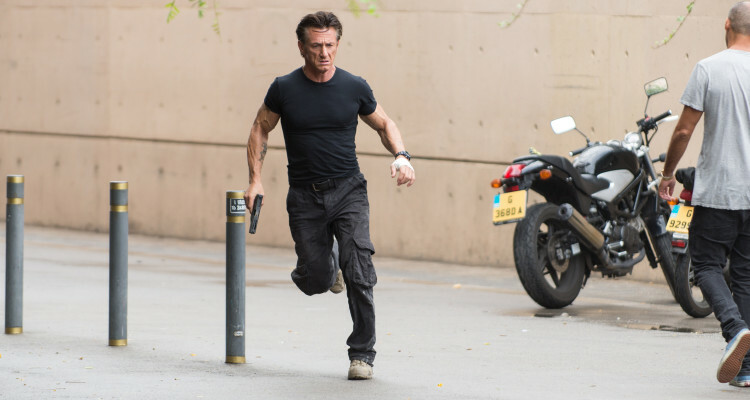 In a world where Taken has become a franchise and the Expendables has found much joy out of bringing the good ol’ boys of action back to the fore, the recent trend of older actors kicking arse has been welcomed into the hearts of modern audiences. Such films aren’t a new idea, just look at the peerless Point Blank, where grizzled Lee Marvin delivers the greatest screen interpretation of Richard Stark’s Parker, under the exquisite direction of John Boorman. Indeed, it could be argued in the wake of multiple sequels to the aforementioned Taken and Expendable franchises, these films are at risk of feeling all played out, and once again, the older action hero faces the retirement home. The man who directed the film that, arguably, kick started this renaissance, Pierre Moral, returns to the style with a sleek action thriller, The Gunman, with a mega star in the form of Sean Penn, but some rather familiar issues that plagued Taken, and unfortunately pushes The Gunman off target. The Gunman follows Jim Terrier, a former Special Forces operative and military contractor who worked for many years in the Democratic Republic of Congo, as an agent of light…and dark. Years after a crucial mission, Jim finds himself targeted suddenly, and realises his head is on the line for that fateful mission. Suffering from the effects of years of heavy combat, Jim sets off to find out who really wants to kill him, and in the process, finds himself confronted with a lost love, and the reality that those he believes to be friends, could be the greatest enemies of all. There can only be one place to start with this review, and that’s Sean Penn. An actor of tremendous quality, it should never have been questioned whether he could adapt to the rigours of the action genre. He attacks the film; from a sheer physical standpoint, he perfectly captures the idea of a coiled spring, poised but always ready to explode into action. He holds himself with a reality that absolutely convinces the audience of his dominance. However, sheer physicality is one thing, Penn layers Terrier with emotion, a raw beating heart of a man who has done awful things in life, sacrificed the best parts of him, and, although his past makes him extremely questionable leaving the audience to wonder if he deserves redemption, Penn certainly fills Terrier with enough pathos to make you completely believe he’s attempting to atone. 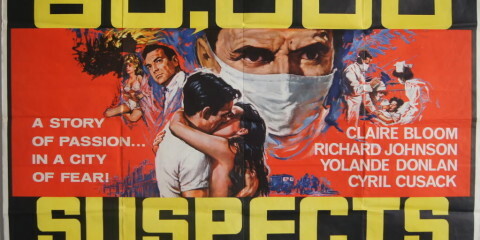 It’s an impressive performance, unquestionably the strongest element of the film. Unlike the Taken films, whose action content is unsatisfying and for some reason excused due to the sheer spectacle of Oskar Schindler attempting them, The Gunman delivers extremely well composed and effective bursts of action. From the first display of Terrier’s physical threat in a hand to hand situation, to a beautifully orchestrated knife fight that is full of visual sleight of hand and captured in a flurry of fluid cuts, Moral illustrates acuity for these sudden eruptions, finding the perfect balance between aggression and composure to illustrate professionalism, rather than sheer carnage. However, while the film looks tremendously sharp, and is anchored by Penn, The Gunman suffers from a chronic imbalance within the narrative, one that leaves it disjointed and ultimately, unsatisfying when it could have been a taut, engaging thriller. 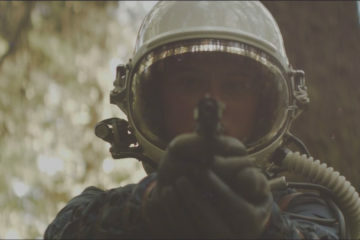 The film starts well, with the events placed within the context of the humanitarian crisis in the Democratic Republic of Congo (although the use of artificial news footage as an exposition device is instantly disconcerting), building tension as the characters are placed directly in the heart of a wider political crisis. However, as the film moves on, and jumps from past to present, it suddenly throws in too many variables and elements that don’t add but distract, derailing the carefully built momentum forward with the addition of characters who feel like they are out of another style of film, an ailment to render Terrier less indestructible and more vulnerable, and worst of all, a love triangle that jars the sense of a streamlined narrative. Indeed, these elements are not the kind that renders the film unwatchable, and some of them add a little bit of variety; however, the problem is it creates a discord in the harmony of the film itself. The Congo crisis is too serious as background for elements of the film that follow, leaving behind an interesting discussion on the nature of modern warfare and corruption at the top; and even though it leaves behind that complexity, the contrast means the film is unsatisfying in terms of providing pure fun. It ultimately comes out altogether unsure of itself, failing to capture a decisive identity in its sights. The Gunman is a strange beast. It has elements that separate it from other recent action pictures, in particular an assured and domineering performance by Penn, one that really gives the film a drive to keep the audience invested. However, it’s not a clean kill. The narrative collapses under the weight of its own identity crisis, unable to recover a promising start, and completely disappointing in its climax. Ultimately, The Gunman is a sleek thriller, elevated by Penn’s performance, but inconsistencies in narrative and tone leave it disappointingly off target.